BT Sport is from today available on Plusnet. This is up to £7.50 a month cheaper than ordering the channels direct from BT for consumption via the Sky digital satellite platform. Subscribers who already have Plusnet are not required to sign up to a new broadband contract with the Yorkshire-based ISP to get BT Sport via Sky, but will continue to receive the channels until they leave Plusnet or choose to opt-out of getting BT Sport in the future. There is a one-month minimum term. Intention to offer "Next year"
* Add BT Sport via BT direct, not via Sky. Visit btsport.com for details There’s a £15 activation fee. Prices correct as at 27/10/2013. In the new year, Plusnet will begin rolling out YouView, through which it will be able to offer BT Sport and ESPN from channel 507 via Plusnet's own broadband service and, according to the ISP, it also intends to offer access to BT Sport via the BT Sport website from next year. No further details, such as a detailed launch timeline or pricing information have been released at this stage, but a trial of Plusnet's YouView service will get underway before the end of this year. 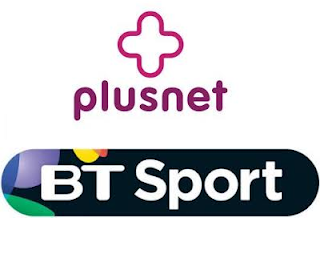 Plusnet was acquired by BT in 2007, but has since remained as a separately operated business, with little reference made to its parent company on its website. Nevertheless, its link with BT fuelled speculation that it would offer YouView at some point, with rumours of a YouView trial circulating for months.